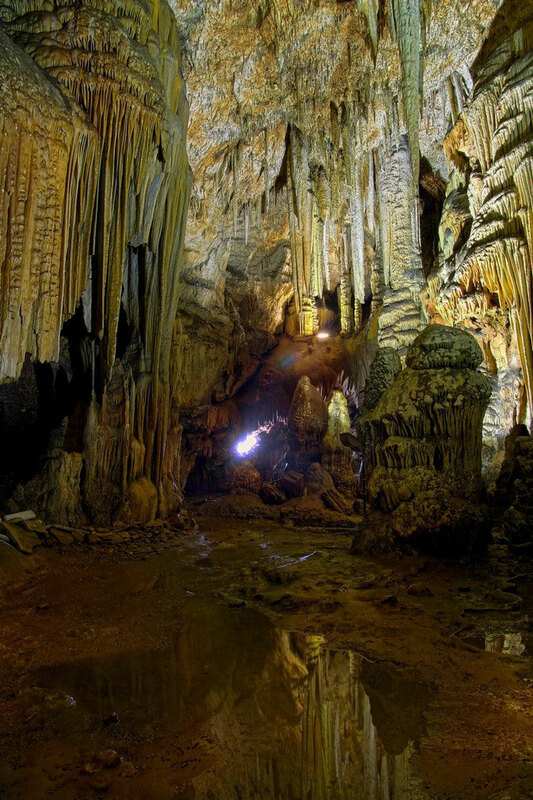 ''Is Janas'' cave has unique features of its kind that develops as a 240 m long corridor. The cave opens with a rectangular entrance, sorrounded by a lush forest of holm oaks. It is a cave of karst formation, has a costant temperature of 14 degrees and a moisture wich reaches peaks of 100%. - the ''Rhynolophus ferrumequinum", the very common horseshoe bat. Among the archeological finds there are remains of pottery shards and bowls forged and used during periods of Monte Claro culture in 3000 AC about (Sardinian Neolithic).